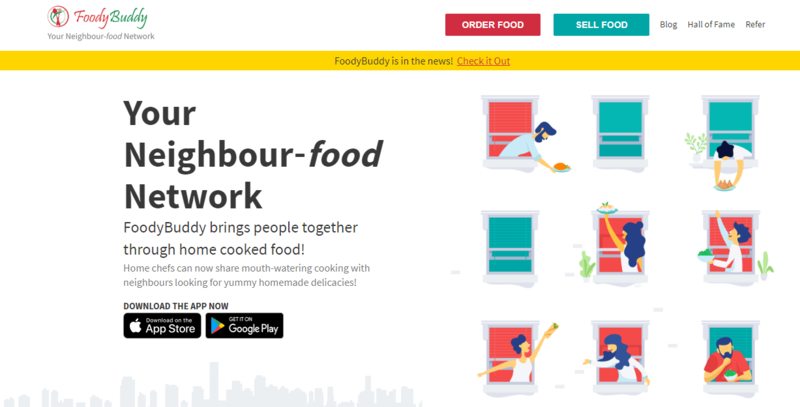 Bengaluru-based online Order Home Cooked Food platform Foodybuddy has come out with a solution to address this with an aim to create a neighborhood food network. It brings the Order Home Cooked Food from authentic home chefs residing in one’s own the residential complex or locality. The FoodyBuddy platform lets you find neighbours who make simple, comforting, Order Home Cooked Food every day and also regional specialties that cannot be found outside of homes. Founded by Akil Sethuraman, Rachna Rao, and Anup Gopinath in June 2015, FoodyBuddy has been piloting the service since early 2017. FoodyBuddy company has raised Rs 6 crore in pre-Series A Funding from Prime Venture Partners during early 2018. The funding will take care of the company’s growth needs for the next 12-14 months that includes expanding to the 4-5 cities. Sethuraman informed, “We will foray into Pune next followed by Mumbai, Gurgaon, and Delhi. We don’t have delivery boys in our supply chain which keeps our costs low. Chefs/sellers take care of the food delivery themselves. While the focus until now has been gated communities, FoodyBuddy has launched a new offering for home chefs who live in independent residences and sell food on the platform. The Order Home Cooked Food Online from FoodyBuddy App is available for download both on Android and iOS.